Let’s take a closer look at this. First, the message of Jesus Christ is offensive. (So when we preach that Christ was crucified, the Jews are offended and the Gentiles say it’s all nonsense. 1 Corinthians 1:23) Jesus came into the world proclaiming that he is “the way, the truth, the life.” He said that no one can get to God except through him (John 14:6). Those are bold, offensive statements in the culture of his day and in our culture today. The good news, or gospel, of Jesus Christ is offensive exactly because it challenges us to follow the ways of Jesus (justice, truth, and love) rather than our own ways. It takes ourselves off of the throne of our lives and puts Jesus squarely in control. So yes, the message of Jesus will offend. Secondly, even though the message will offend, we need not be offensive. It is Jesus and his message that offends, not us. Because we believe an offensive message, we must, all the more, seek to be gracious, loving, humble, and truthful. It is not good for me to say that others are sinners in the eyes of Jesus without also speaking the truth that I too am a sinner who fails daily to live up to putting Jesus on the throne of my life. We need to humbly recognize that living by the truth of God is difficult and that all of us struggle to put aside our own desires and place the values of Jesus foremost in our lives. 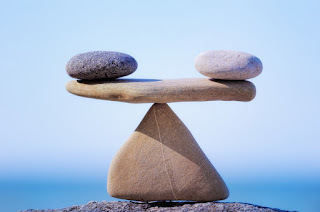 Thirdly, as Wendell Berry said in The Jefferson Lecture and Other Essays, “We cannot know the whole truth, which belongs to God alone, but our task nevertheless is to seek to know what is true.” There must be a recognition in our lives that, although we are seeking to know what is true, we do not yet know the whole truth. We must recognize that our understanding of Jesus, and the way he is explained in the Bible, is incomplete. We must choose, like others to whom we speak, to seek an ever more complete understanding of Jesus. When we come to others with sensitivity, love, and humility, the gospel will indeed still offend, but it will be Jesus who offends and not us. Jesus came into the world full of grace and truth; we must seek to do the same. Regarding the Gospel of John in the New Testament of the Bible, Bruce Milne had this to say. An “endless but blissful task in the world to come;” here and now, we struggle to understand who Jesus is, the place of God the Father, and the person of the Holy Spirit. Many times we are challenged by new religious movements like Oneness Pentecostalism, The Church of Jesus Christ of Latter Day Saints, and Jehovah’s Witnesses as they seek to explain the Godhead in other than orthodox and traditional ways. Yet, most of us have, at one time or another considered the conclusions to which they have been drawn. The mystery of Jesus is “always beyond us.” None of us can say that we have this mystery worked out perfectly in our mind, none of us have completed the blissful or difficult task of exploring the mystery fully. Perhaps a good place for us to start would be to study and meditate upon the simple, yet sublime, words of the Nicene Creed from around 325 CE. Milne, Bruce. The Message of John: Here is Your King. Downers Grove, 1993. Wikipedia. "Nicene Creed." Wikipedia. September 16, 2016. https://en.wikipedia.org/wiki/Nicene_Creed (accessed September 23, 2016). Lewis Thomas was an award winning author and physician who had a way of explaining complex science in simple ways. In his essay, “Seven Wonders,” Lewis relates how he was once asked for his list of contemporary “Wonders of the World.” He is careful to say that he thinks it would be impossible to create a new list of the seven wonders of the world before giving a qualified list of naturally occurring wonders. The “second” of his list (if you read the entire essay you will understand why I put “second” in quotations) is a particular species of bacteria which thrives at extremely high temperatures. Prior to their discovery in the 1980s, many would have suggested that life as we knew it would not be possible in the severe environment of deep sea vents where temperatures exceed 250 degrees centigrade. Yet, these bacteria were found to be living and contributing to the ecosystem in just such a place. As Thomas says, it was thought that “Proteins and DNA would fall apart, enzymes would melt away, anything alive would die instantaneously.” On this basis, “the possibility of life on Venus . . .” and many other places was long ago ruled out. I was later to learn of the great value of these bacteria in the work I would do in the Molecular Diagnostic Lab at the Alberta Children’s Hospital in Calgary. After this discovery by Baross and Deming, other researchers went on to isolate particular strains of bacteria from thermal vents. One species, Thermus aquaticus (abbreviated Taq), contained a DNA polymerase (an enzyme which makes more copies of a strand of DNA) that could be isolated and used in certain biochemical reactions to amplify regions of DNA. By the time I joined the lab in 1990, it was possible to use Taq DNA Polymerase for routine scientific investigation and molecular genetic testing of clinical disorders. The use of PCR (Polymerase Chain Reaction) greatly accelerated laboratory practices and led to the rapid development of clinical testing for molecular DNA mutations. I would echo Lewis Thomas in his recognition of these bacteria as one of the great wonders of the world. “Lewis Thomas,” Wikipedia, https://en.wikipedia.org/wiki/Lewis_Thomas, accessed 2016-09-12. Late Night Thoughts on Listening to Mahler’s Ninth; Lewis Thomas, Viking Penguin, a division of Penguin Group (USA) Inc., 1983. Perhaps as a follow-up to my post of a few days ago, these words of the great science writer, Lewis Thomas would be appropriate. Of all celestial bodies within reach or view, as far as we can see, out to the edge, the most wonderful and marvelous and mysterious is turning out to be our own planet earth. There is nothing to match it anywhere, not yet anyway. From Late Night Thoughts on Listening to Mahler’s Ninth by Lewis Thomas, copyright © 1983 by Lewis Thomas. Now, of course, many other planets, have been discovered around other stars in our universe and so Proxima b is not novel in that sense. What makes this planet particularly notable is the fact that it might exist within a narrow window of conditions known as the habitable zone. Initial evidence suggests that the temperature on the planet might be suitable for liquid water on the surface. It may have an atmosphere and there may be portions of the planet on which it may be a reasonable temperature for life (as we know it) to survive. The tight orbit suggests that it may be tidally locked (meaning that it always shows the same face to the sun – as our moon always shows the same face to the earth) and so one side of the planet is in perpetual day and one side perpetual night. This is certainly a strike against it being a habitable world. Of course news like this caused quite a stir and led to a lot of conjecture about how we might visit or colonize Proxima b. But, let’s make a few things clear, in astronomical distances, this potential planet is very close: only 4 light years away. This means that a photon of light traveling from Proxima Centauri takes only 4 years to get here. Some stars are so far away that they take thousands or billions of years to get to us. But, using todays propulsion methods which can achieve speeds of 0.005% of the speed of light, if you launched a very fast ship toward Proxima b, it would get there in about 80,000 years. So, don’t let anyone fool you into booking your next vacation on an exotic planet in the Proxima Centauri system. You won’t live long enough to get there and your rocket would not have sufficient fuel to make the trip. Other, faster, modes of transportation have been proposed but those are still in development and right now are closer to science fiction than true science. Still, a science nerd can dream. Such discoveries do spur the imagination. Imagine if we could find a way to travel at 20 percent of the speed of light and get there in a few decades. Could this be a place where humans might extend our reach and colonize another planet? What might we find on such a planet? Or, are the distances just too great to ever get a good look at Proxima b? Crockett, Christopher. "Signs of planet detected around sun’s nearest neighbor star." Science News. 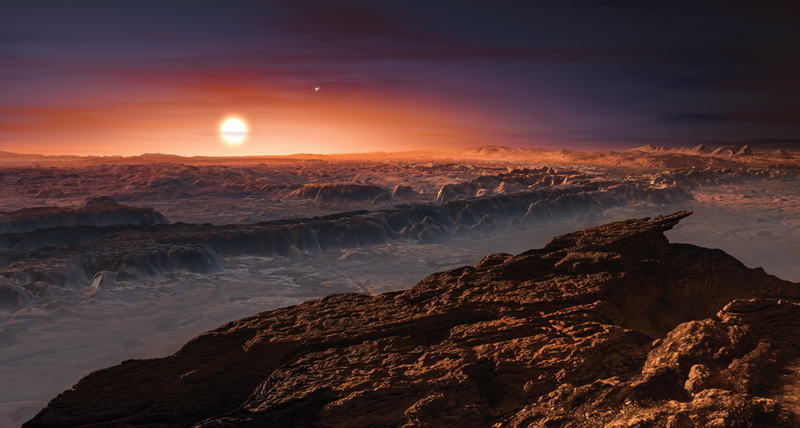 08 24, 2016. https://www.sciencenews.org/article/planet-detected-nearest-neighbor-star-proxima-centauri?tgt=nr (accessed 08 29, 2016). Siefried, Tom. "Visits to Proxima Centauri’s planet are probably millennia away." Science News. 08 25, 2016. https://www.sciencenews.org/blog/context/visits-proxima-centauri-planet-probably-millennia-away?tgt=nr (accessed 08 29, 2016). Wall, Mike. "Found! Potentially Earth-Like Planet at Proxima Centauri Is Closest Ever." Space.com. 08 24, 2016. http://www.space.com/33834-discovery-of-planet-proxima-b.html (accessed 08 31, 2016). “Visits to Proxima Centauri’s planet are probably millennia away;” Science News, August 25, 2016, http://bit.ly/2bx1uyX; accessed 2016-08-29.